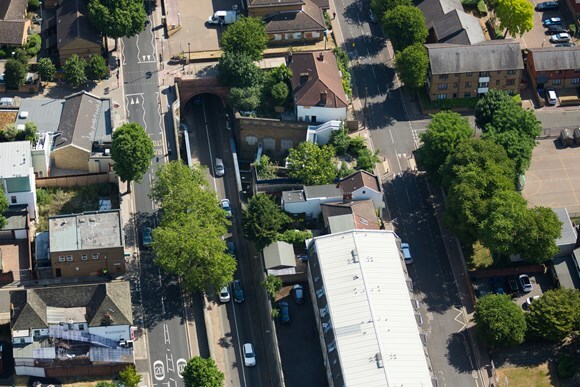 New cameras are being introduced in the Rotherhithe Tunnel to increase safety and deter vehicles that don’t meet the safety restrictions from using the route. From early February, enforcement will be carried out by the new cameras and people driving vehicles through the tunnel that do not comply with the restrictions could be fined up to £130. The tunnel, which was built in 1908, was not designed to cope with modern levels of traffic. In September 2018 TfL carried out detailed analysis of the tunnel’s ventilation system, which would be used to extract smoke and other dangerous fumes in the event of a fire. This showed that new restrictions were vital to ensure road users could continue to use the tunnel safely, whilst TfL works on plans for the tunnel’s future. By not complying with restrictions at the tunnel, drivers are putting themselves and others at risk.Enforcement officers have been present at both approaches to the tunnel since the new restrictions were introduced to assist drivers and prevent vehicles entering the tunnel that do not comply. Officers have turned away an average of 600 vehicles a day since September. Drivers whose vehicles do not meet the restrictions are advised to use nearby Tower Bridge or the Blackwall Tunnel to cross the Thames. The congestion charge does not apply to either crossing. Enforcement of the 2m width restrictions means that drivers of Range Rovers and other large SUV will now be charged a penalty.